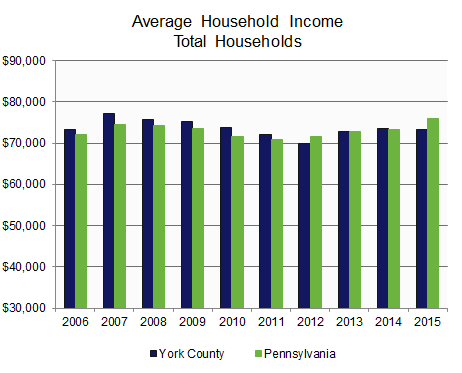 After a tumultuous decade in York County, average household income has returned to its 2006 level. 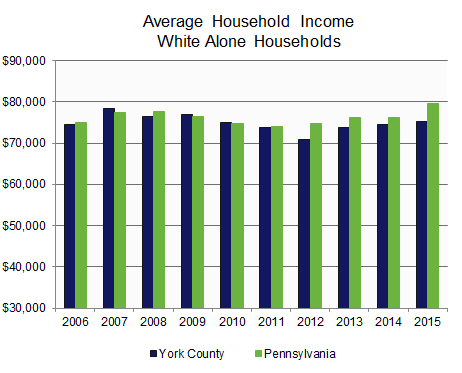 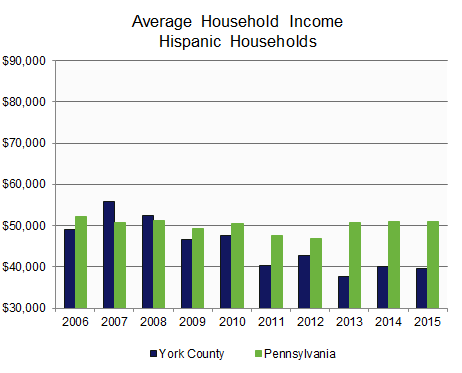 White alone and Hispanic households in York County had lower household income than in Pennsylvania, while Black household income slightly exceeded state averages. 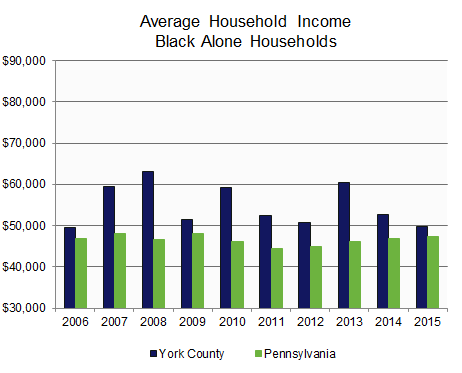 In 2015, York County Black households earned 34% less than White households, while Hispanic households earned 47% less than White households. 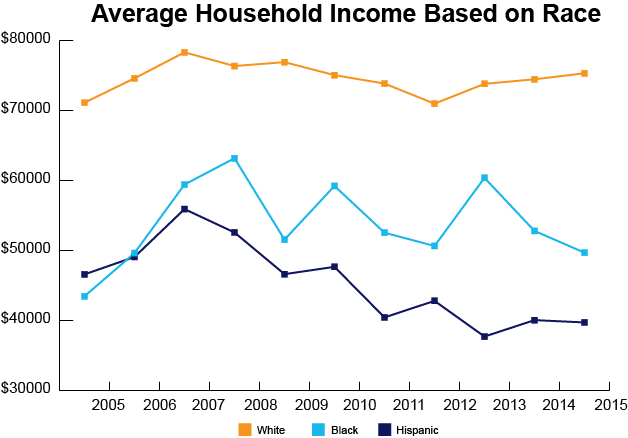 The disparity between White and Black or Hispanic households increased in 2015.